While Capcom continues to crank out new Resident Evil video games (Resident Evil 7 launches on PlayStation 4, PlayStation VR, Xbox One, and PC on Jan. 24, 2017), Sony Pictures is now concluding its hexalogy of Resident Evil movies with the recent release of Resident Evil: The Final Chapter. 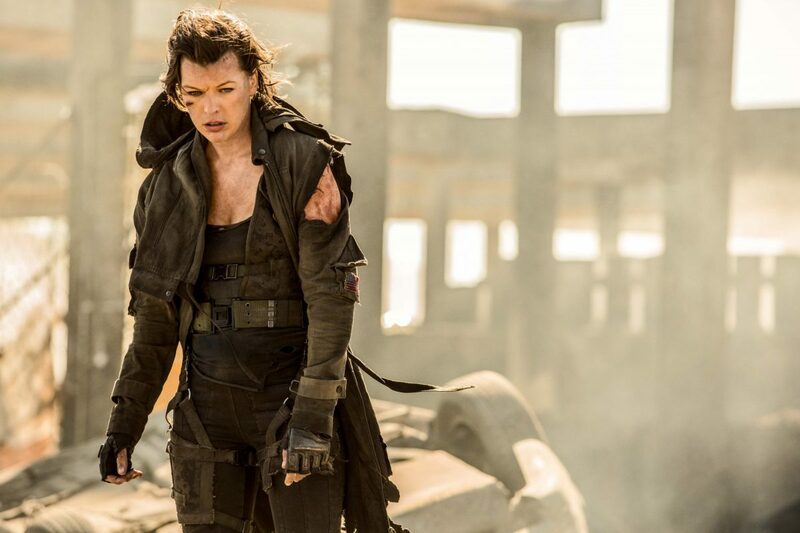 The franchise, which stars Milla Jovovich as Alice and Ali Larter as Claire Redfield, has earned over $915 million at the box office (and should top $1 billion when the final film is tallied into the equation). While the movies are set within the universe of the bestselling survival horror games, director Paul W.S. Anderson, who’s written every film, has crafted original storylines and introduced new characters that interact with more iconic ones from the franchise. As each movie has earned more money at the box office, Anderson has had larger budgets to work with to bring more computer-generated creatures to life. “I definitely feel like the monsters are crazier than we’ve ever seen,” star Jovovich said. The Resident Evil movies have succeeded in connecting with both the gaming audience that continues to buy every new video game, as well as action and horror movie fans around the globe. Jovovich’s co-star Larter learned first-hand how popular Claire Redfield was when she starred in her first Resident Evil movie in 2007. Jovovich promises that this is the end of the road for Alice. Of course, given Sony’s penchant for sequels, it’s possible this franchise could continue with different characters. But the core of this franchise’s success has been the one-two punch of real-life husband and wife Anderson and Jovovich, who have brought these films to life as a labor of love. Having met on the original film, they are now are the proud parents of two children – and six movies. Featured image courtesy of Sony Pictures.